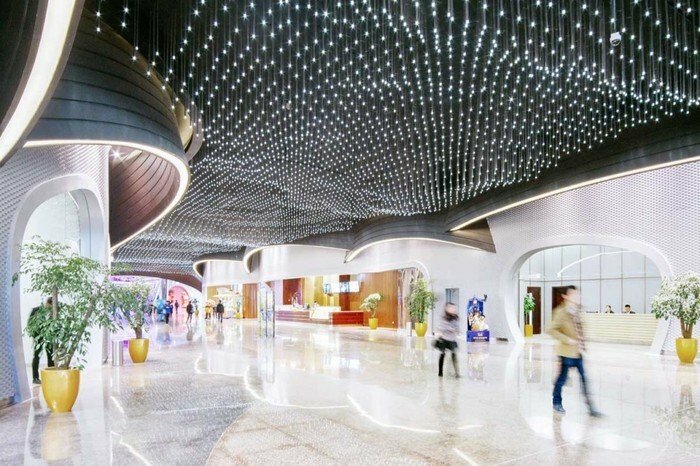 Stufish Entertainment Architects Specialists have completed work on the world’s first indoor theme park in Wuhan, China. 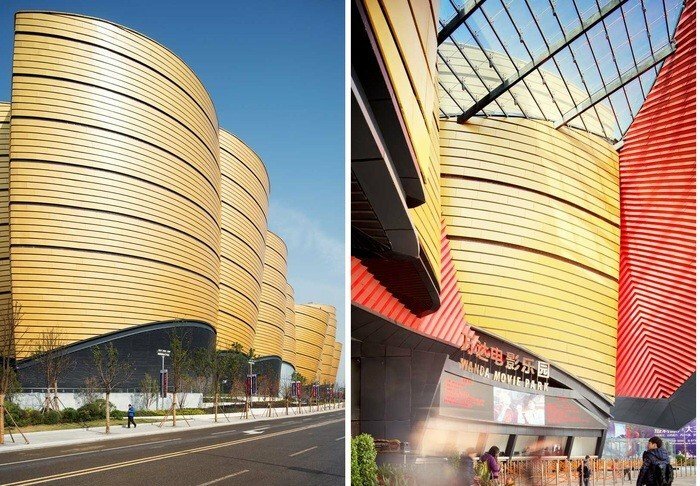 Wanda Movie Park, a budget of $ 690 million dollars, was built for a client Dalian Wanda Group. 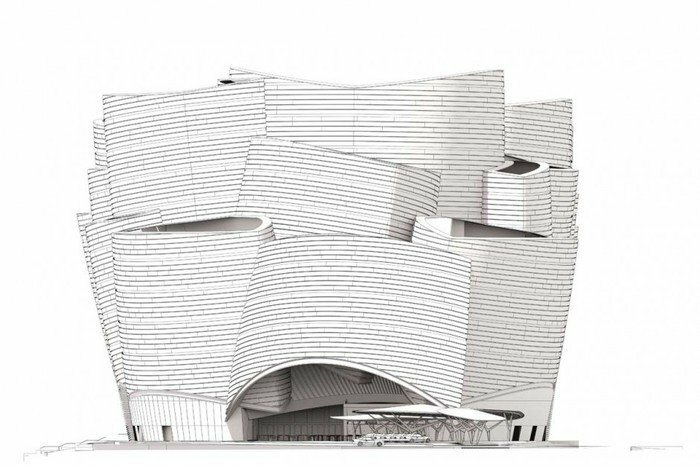 The building with total area of ​​100 thousand sq. 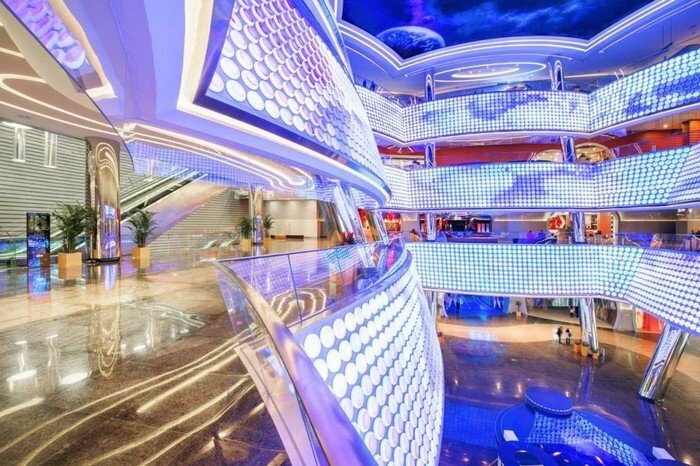 Meters accommodates six cinema of attractions, including 4D and 5D cinemas, flying theater, interactive theater space. 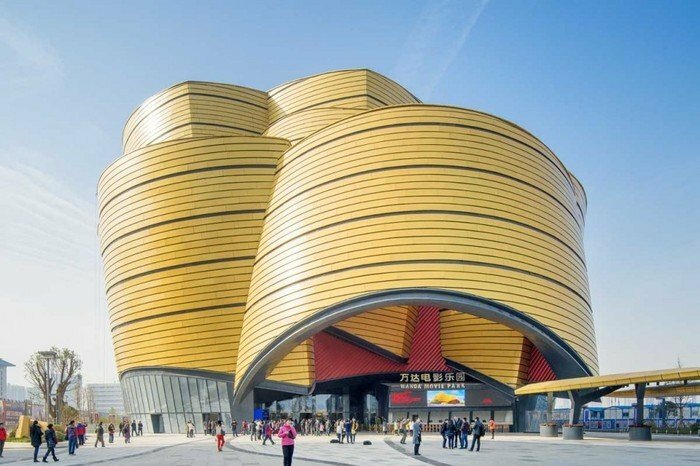 Due to the peculiar design of the building called “Golden Bell”, and it is no coincidence, as the basis for the image of the architects took 2000 years of local shrines – bells bianzhong – cultural artifact period of the Han Dynasty.